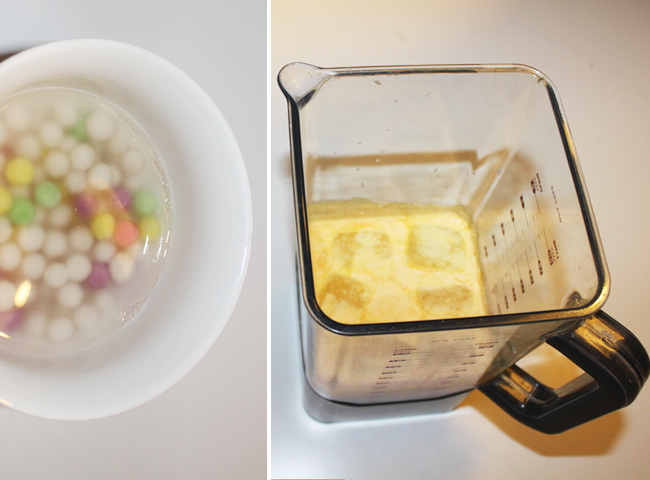 Bubble Tea is sooo easy to make at home, and its so yummy! 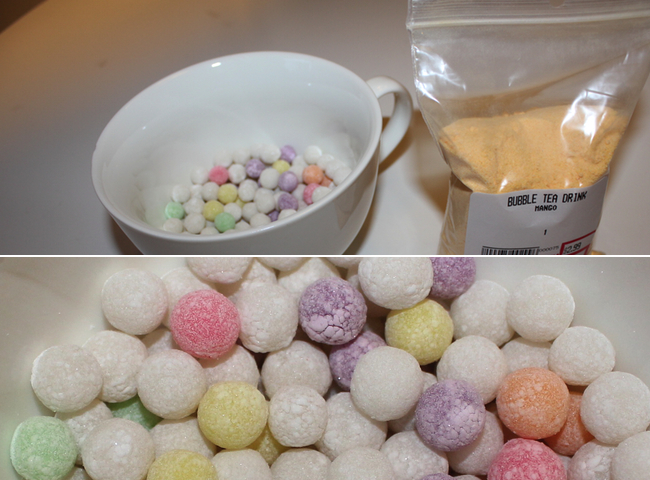 You can get Pearls (Tapioca balls) from any Asian market such as T&T. 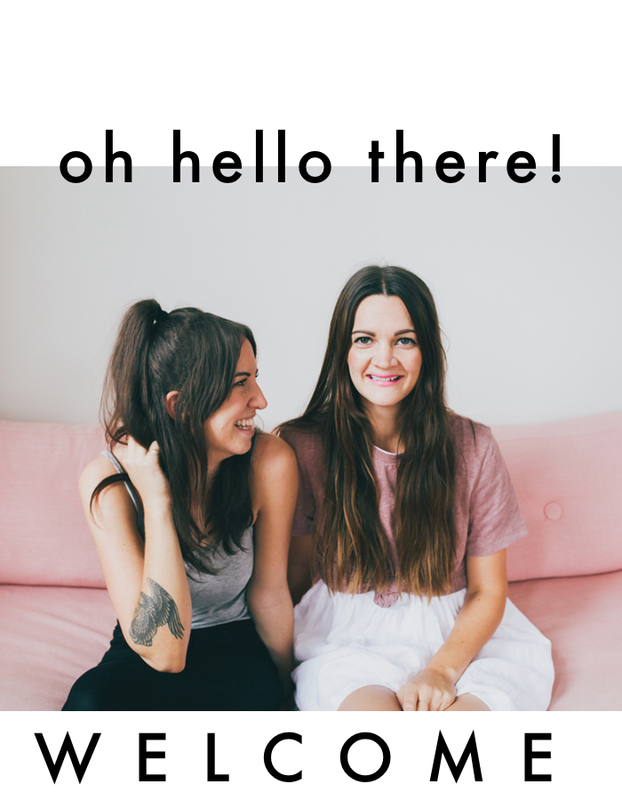 I got ours from a little market in Langley, because they had COLORFUL pearls- so fun! The Pearls were only 2.99 for a bag, and The powder was the same price. We chose MANGO- but there are all sorts of flavors such as Taro, Banana, Passion fruit, Durian, and Strawberry. You can boil your pearls on a stove top in a pot of water, or microwave them. Put them in water, and heat them- when they rise to the top, that means they are ready! Pour the pearls in the bottom of your cup, before you add your Bubble Tea. If you want a smoothie type of Bubble tea- Add your powdered flavor into a blender with ice and milk *add fruit for extra flavor if you want! 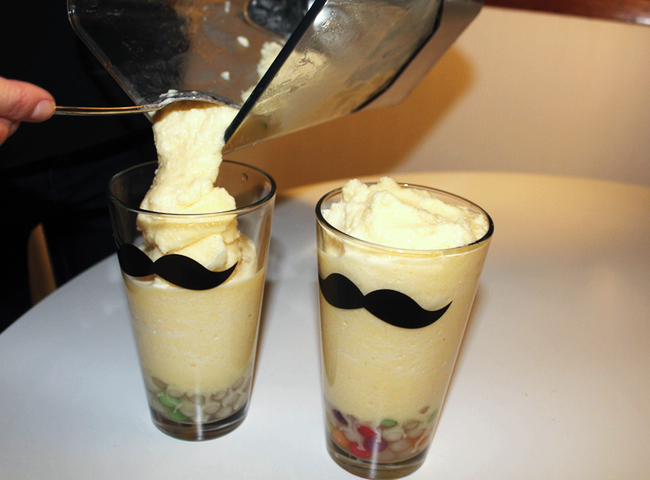 If you want more of a milky Bubble tea- Add less ice in the blender, and more milk. Or you could try adding Cold Green steaped tea, or Black tea! **DONT FORGET to buy Big straws that can fit the pearls through! We didnt notice until after we made the Bubble tea that we didnt have any straws! (and you cant eat Bubble tea with a spoon!) I had to make a quick run to the gas station to grab a couple Slurpie straws, Whoops! !